I was going to do this at the beginning of this, but I was like, "I like this show, and I wanna watch it all the way through before I pass judgment on it." I mean, there was a 99% chance that I was really gonna dig this, because I love Bill Hader. 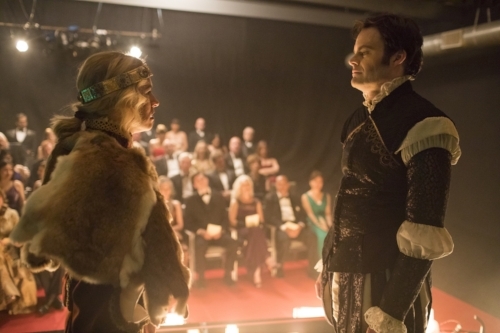 Bill Hader is a freaking genius, and the idea sounded inherently interesting. Grosse Pointe Blank is a movie I quite like, and that I also thought would've made a good TV show. So what do you know, it kind of does. So Barry is about a hit man, conveniently named Barry, who during a job in LA gets bitten by the acting bug, and decides to stay and become an actor. Of course, problems after problems fall in because of that. I'm not going to spoil the thing. You should have seen it already. If you haven't, you probably don't have HBO. Barry is, I'm going to say big praise, and this is going to sound like big praise, and I hope it does, because it's legitimate and sincere, Barry is the true successor to Breaking Bad. What? It takes all of the lessons of Breaking Bad and amplifies them. Breaking Bad started off as a genius dark comedy, and turned into a genius, brutally sad drama. Whereas Barry starts off as a genius dark comedy, and also becomes a brutally sad drama, without ever really dropping the genius comedy part. Co-created by Bill Hader and Alec Berg, who also co-created what was one of my favorite shows until an actor from that destroyed that for me. There is directing from Bill Hader, Berg, and also a couple of episodes directed by Hiro Murai. The directing is uniformly brilliant. It's brilliant in a way that perfectly emulates Barry's character. It's an understated brilliance, which is kind of the amazing thing. It's very meat and potatoes sort of directing. There's a few obvious examples. 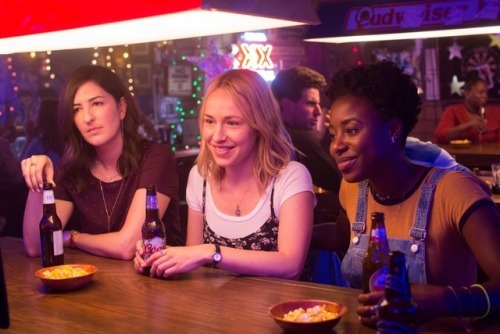 One of the funnier parts of the pilot for me was when D'Arcy Carden and Sarah Goldberg were talking. Sally said, "Nobody is really born in LA." D'Arcy Carden, who is by the way great on The Good Place, mentioned that she in fact was born in LA. That's kind of a perfect sort of understated joke, and they don't draw attention to it. Barry never draws attention to itself. It's kind of perfect. It really plays into that any of the depictions of violence in the show are understated and kind of horrific. The one cool sequence was even kind of creepy, where they shoot out the Bolivian stash house and one of the characters, and I'll get into that in a second when I get around to Tyler. But anyways, so Barry, who clearly has PTSD, is a former Marine who was talked into being an assassin by a family friend. It plays with it in effective ways. It really shows the general disconnect that Barry has with almost everything in his life, and the smallness, the wall he puts up against himself and everybody else. Acting, in a weird way, proves to the one normal appeal of his, and that's kind of amazing. There's this question people have been having a lot about Barry. Is Barry a good guy? Is Barry a sincere moralist philosopher? Barry in the series does two things. Can you believe what he does? Barry kills two innocent people. The first is his friend Chris, who because of his association with Barry learns what Barry has done, and threatens to go to the police. Barry has to kill him, which is just a brutally horrific scene. The second is he kills Detective Moss, a detective who figured out who he was. In this way, Barry is actually braver than a lot of these shows where they can't quite make the main character kill somebody that isn't a criminal, and who the audience hates. The question is, is Barry a good person? Is he a good guy? I thought honestly that all this talk long since died in the '50s when the French New Wave became a hit and we had a bunch of characters like this. But whatever, it happens. People are very concerned with morality, and stuff like that. Here's the question. The question truly about Barry is, is he a good guy? Does it matter in a lot of ways? Or does this black and white definition matter because Barry's greatest desire, and this is a way he's kind of different for a lot of other people, is that Barry doesn't really have a great ambition. He just wants to be a normal guy, and possibly be an actor. The thing about it is that this is where it's going to go, because one of the lessons of the 20th century is that, even now with the supposedly good people, humans are pathetic. See the thing is, humanity in itself is capable of really terrible things when you put humanity in a corner. Seemingly normal people will do terrible things. We have to understand that there are horrible, evil people in the world. But mostly, that's a rarity. Mostly, the most evil stuff is confronted by just a simple need of just normal people needing to survive in a way. We have to accept that humans are deeply sympathetic characters that can be deeply flawed in a way. To get all high, and moral, and mighty, Barry represents the raging dark id in people. We see ourselves in Barry, and we can't believe we would never do those things. Well you know I mean one of the questions of this, you don't really know what you're capable of until you're forced into a corner. Barry is capable of forcing himself into that corner in a lot of ways, because Barry loves where he is, and doesn't want to leave where he is. I think we have to move past this whole concept, and especially since this is fiction. I don't know. There's an implication in these discussions. By sympathizing with Barry, are we really condoning murder? No, of course not. None of this is really. This is theoretical stuff. In theory we do a lot of things. You're not a bad person or nothing for it's an interesting ride. To get to a further point, there are also a bunch of references to Macbeth. Macbeth pops up a lot. I think one of the most interesting interpretations of Macbeth has happened in the past 30 years, and this plays directly into it. One of the things about it is that Macbeth most likely has PTSD. If you really look into it, it's pretty clear. The constant confrontations, the anger rising, the fact that he sees things that he shouldn't see. It can become a very harrowing portrayal of PTSD, with just very minimal changes, so that really plays into Barry. What I guess I'm saying about all this stuff is, and especially for a show like Barry, I would criticize a character being a real jerk in a superhero, or say a Star Wars-esque story, where it's supposed to be simple good verses evil, and stuff like that like, because that's the rules that they're playing by. I don't want to follow jerks in adventure stuff. But Barry is not that type of show. It wants you to think about this stuff. I guess I shouldn't be so dismissive of this conversation piece, or point. But the thing is I'm not super concerned if he is a good person. It's more interesting with this reflection of humanity. Barry is a human. One of the interesting things is, and let's talk about working class stuff or whatever, I think Barry is interesting in the concept that Barry is actually the low rung. A lot of these shows, and I'm thinking of Breaking Bad, which this show reminds me of in so many ways, is in the great tradition of Arthur Miller. There's a whole idea about Arthur Miller that I've got that is going to be coming up in a minute, or right this second. In The Death of a Salesman, Arthur Miller had a real dislike of the main concept of the tragic hero that people have had for a long time. The main thing about the tragic hero was that the tragic hero is a great man who falls to great heights. He maintained that that doesn't need to be a tragic hero. A tragic hero can be a small man who falls to great heights. I feel like Breaking Bad if often compared to say, Richard II. Or Richard III? I'll look it up. I think that's a fair estimation of Breaking Bad. But in a lot of ways you can compare Barry more to Death of a Salesman, particularly. One of the recurring themes of Death of a Salesman is that the things that Willy Loman prizes in his life are that he has this idea of success, or this classic American fantasy life where he worked hard, and worked up towards it. He becomes a success. The boys are happy, and they become an even bigger success. Of course, that's all a fantasy. The thing is, ideal is just a fantasy. Barry is very much like that in a way. The character Barry is very much like that. He has this fantasy of this life he can lead, if only he can get there. One of the great tragedies of Willy Loman in The Death of a Salesman is that Willy Loman thinks of himself as a salesman. But the truth is, Willy Loman's real skill, and you see it throughout the play, is that Willy Loman is a fantastic carpenter. If he were to do that, he would be poor, but he would be happier, and in a lot of ways more successful. The thing about Barry is that he is a fantastic killer, but he's a terrible actor, but is is the thing he wants desperately. It feels like the entirety of society has conspired against Barry, and all that Barry has left in this world. That's a great thought, for many criminals describe 'bad' as the same way, as like, "Everything was just against me." The other thing that I always found is that Barry is fundamentally the working class if you think about it, in the criminal society. Breaking Bad was all about ascending to the upper class of criminal society. That was Walter White's dream. He wanted to be the rich billionaire, whereas Barry wants to just simply live. Both are versions of the American dream. Barry is the lower class guy, but he's still stuck. He's the lower class criminal. He still just wants the ideal American life. That's beautiful, and sad, and tragic, and so is Barry a good person? Does it really matter? I mean, it's a TV show. It's a TV show. But I guess the long answer is no. But is he sympathetic? Yes. Can he still be redeemed? I don't know. Maybe if in the end he ends up going to prison, and serving his time, and trying to be a better person in there, he could be. Is the world around him worse? Yeah. That's the question that I think they want to ask you. I didn't even get into how great the other characters were, so I guess let's just go through them quickly. There's Sally. Like Barry, I think the show wants you to be sympathetic to her, but also realize her shortcomings. I think that extends to the entire acting community, and I think people would maybe be confused by this, because in the TV show Barry seems to have a very fundamental human look at people. Everybody has selfish thoughts and ideas in their own way. But they're just people in the end. Sara Goldberg plays Sally, who is Barry's love interest, and arguably in the end she has, next to Barry, the most developed plot. The thing about Sally, and generally the various characters, is that Sally is both a good person in a lot of ways and a bad person in a lot of ways. She's clearly the most talented of the actors there, and she's a nice person, but she's also infected with the innate petty jealousies that all artistic people have, and is shallow in a lot of ways. Oh, the show definitely likes her but, you know, it's disappointed in her when she does things that they don't think are good. But it wouldn't show her, you know. To give you a hint, it wouldn't show her struggling and being legitimately heartbroken and sad and celebrating in her victories if it didn't think nicely of her. It's what we call, you know, "multifaceted characters." Is that a thing? Or does the audience demand to be told precisely what to think and feel at all times? There is the mob guy Goran, who has one of the funnier scenes. He has a dangerous criminal meeting on the phone while attending his daughter's gymnastics, which is great. What else? Then there's NoHo Hank, who is the show's secret weapon. 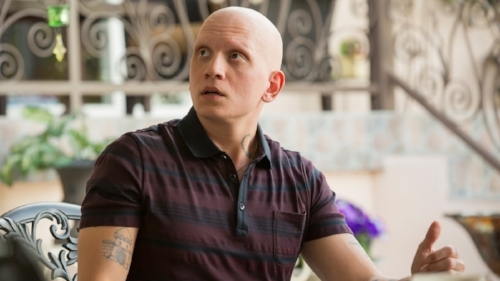 NoHo Hank is interesting because the Chechens are firmly established as being new to LA, in a lot of the same ways that Barry is. NoHo Hank represents a guy who is a little bit in tune to how Americans work. In the end, it kind of reveals him to be the one who is the guy who probably should've been in charge. He's, by the way, one of the funniest characters in the whole thing. Then there is Stephen Root as Fuches, who is the real villain of the piece, the Lady Macbeth of the piece, the little devil on Barry's shoulder that talks him into things. One of the great fundamental opening scenes that really shows his character is that A, first he was just a cook, but he thinks of himself as Barry, who is actually a killing guy, and one of the great establishments. 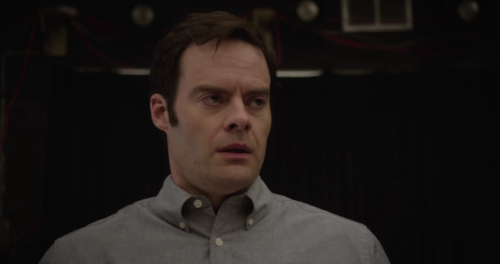 It's also a comment on the show's feeling, and to a greater extend Bill Hader's feeling, on violence in the media in that, he plays Call of Duty and says he's pretty sure he can plot out an actual fire fight from playing Call of Duty. I think it's a lot of Barry's ideas. First, there's the acting tough. I think one of the critiques of the media, especially in the terms of violence, is that violence in a lot of ways is presented by people like Fuches, who are deeply untrained, unmotivated people who want to make themselves feel big and important. I really like that, because I hate those types of guys. The guys who have those awful shirts that I saw in an airport once where it's like, "9 Glock is faster than 911 man." Like, "Oh, screw you, man." That's right, that was a random guy at the airport. Then there's Taylor, who is 20 times worse, and who, like Barry, was also a Marine, but who is an accelerated version of Barry, super jacked up, and muscular. He also clearly has PTSD, but is not equipped to deal with it. He is one of the funniest characters, who legitimately, and this is one of the great scenes and shows you everything about him, yells out Leroy Jenkins, which I really laughed at. I don't usually like reference or meme humor, but that was a great example of super playing into the actual character of the idea. Oh, I forgot, there is Henry Winkler as Gene Cousineau, who has three turnoffs. Gene Cousineau is Barry's acting teacher. Like most acting teachers, he's a failed actor. Take that . He's failed, and there's a great, palpable sadness in his work. I got to say, the late work of Henry Winkler has been fantastic. I mean, if you just know him as The Fonz, that's barely a blip on how good he is now. I mean from Children's Hospital and all that stuff, it's just amazing. Then there's Detective Moss, as played by Paula Newsome. She is the Petrovich to Barry's Rodion, who is a dedicated but equally lonely person. Everybody in LA seems like this lonely husk of a person, desperate for any connection. There's a few other characters that are funny. I could get into them, but I'm not going to. It's really a fantastic show. 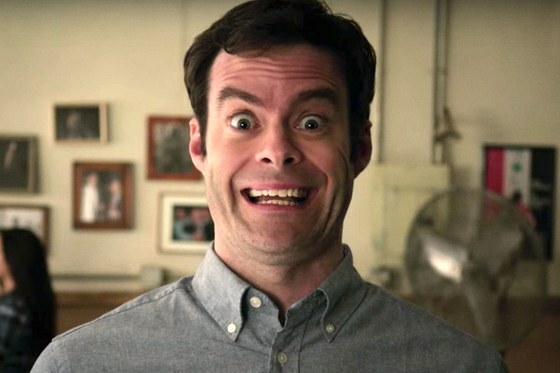 Everybody is saying this is a revelation, and such a wonderful surprise that Bill Hader could do this. I have to say all of you are, I don't know, late adopters, second stringers. You're the type of people that only cheer for the team when they get to the Super Bowl, but I knew Bill Hader could do this years ago. Not only was he one of the best players that SNL had in the longest time, but he was the true successor to Dan Aykroyd. Now that's a complement to compare him to a young Dan Aykroyd. But I knew of his potential since Documentary Now, where he showed he had more than enough ability for dramatic brilliance. Where were the acclaims then? Huh? Nowhere. Except in a lot of places that declared Documentary Now one of the best shows. But because that was a pure comedy, and it's not even a pure comedy, but because that was a more comedic and sketch like thing, his acting wasn't noticed. Why is it that brilliant comedic actors are never noticed when they do brilliant acting work in comedies, and have to do dramas to get that acclaim? I don't know, but do you ever wonder why comedic actors suddenly get a lot of Oscar nominations when they do dramas? It's because they were already great actors, just nobody bothered to notice. So watch Barry. It's brilliant, it's beautiful, and I love it. Mar 18 Infinity Train review.